You are powerful. Add your voice to our campaigns to create a Hunger-Free Oregon. Advocacy is the most effective way to eliminate hunger and poverty in Oregon. We support and advocate for public policy that will increase economic stability, strengthen our food system and increase access to the food assistance safety net on the local, state and federal levels. This year, our state is considering game-changing investments to our education system that will directly contribute to the success of Oregon’s students. School meals are a critical part of the recipe for student success and HB 2760 and HB 2765 currently in the legislature would make meals available to more Oregon students. Contact your legislators today by using the tool below and explain that you want HB 2760 and HB 2765 passed this year so that every Oregon child can start the school day with a full belly, ready to learn. We advocate at the Oregon Capitol in Salem to uphold every Oregonians’ right to be free from hunger. 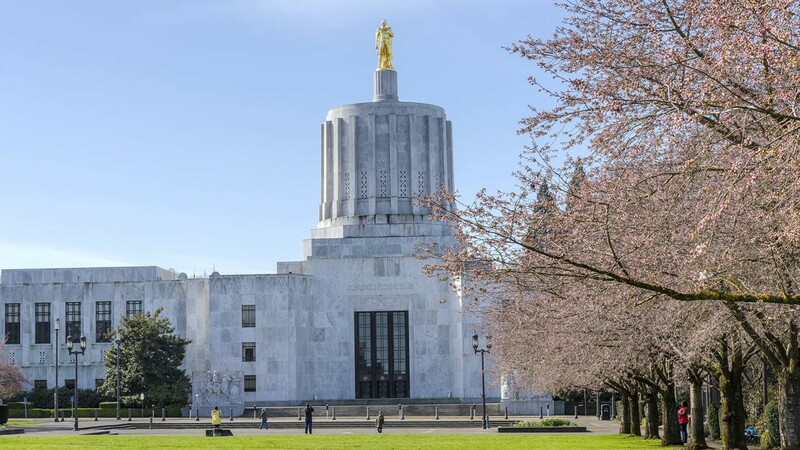 Recognizing that hunger disproportionally affects people of color, women, kids, renters, college students and people in rural areas, we encourage the legislature to seize opportunities to create a path toward an equitable and Hunger-Free Oregon. • Hunger-Free Schools: Every child deserves a healthy start in life. School meals help kids learn, grow, and thrive. The Hunger-Free Schools Campaign seeks to develop policy recommendations and win legislative change in 2019. • Renew and Raise the Earned Income Tax Credit (EITC): Along with the Child Tax Credit, the EITC lifts 129,000 Oregonians out of poverty each year. But it could do even more. Oregon matches 8% of the federal credit (and 11% for families with kids under 3), and Oregon has the opportunity to raise that amount and lift more working families out of poverty in the 2019 session. We advocate to protect and strengthen federal anti-hunger programs like SNAP, WIC, and School Meals. Read our response to the House Farm Bill proposal that would punish people looking for work.